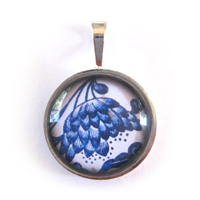 This pretty pendant feature a stylised blue bloom on a white background, in the style of classic blue and white china. The image has been printed on high quality paper and sealed behind a 25mm round domed glass cabochon using jewellery grade resin, then set in a silver setting (silver plated over brass - lead and nickel free). 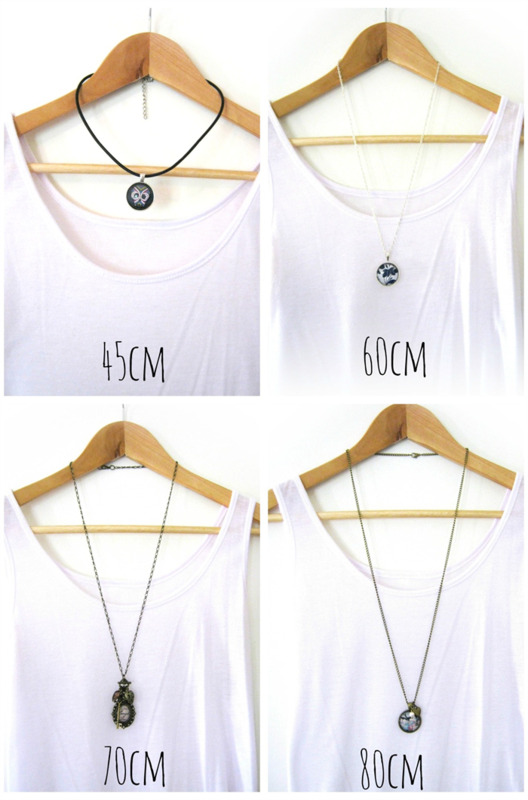 Necklace is supplied with a matching 60cm silver link chain as pictured. If you would prefer a 45cm black leather cord, a 60cm silver ball chain, or a 70cm silver link chain, please let me know during checkout (Please see photo for indication of chain length. Please note this photo is for illustrative purposes and does not show the actual necklace you will receive). If no preference is listed I will send as per the main image. Thank you for visiting On A Whim Designs. New items are added to store on a regular basis, so if you don't see something perfect today, I hope you come back and have a look another day!